Answer: This all-time record-holding Jeopardy! champion will visit Sam Houston State University for a day to address the university and community campus, as well as “challenge” the students in their trivia knowledge. 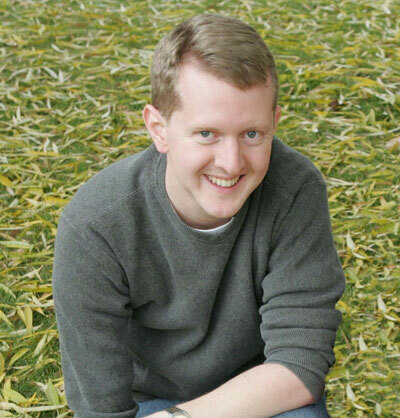 Response: Who is Ken Jennings? Jennings will follow a line of lecturers that includes David Robinson, Dan Rather and Debbi Fields for the President’s Speaker Series on Tuesday (Nov. 15). The discussion will be held at 11 a.m. in the Criminal Justice Center’s Killinger Auditorium. Appearing on the game show for over an unprecedented 70 times, he made television history as the “All-Time Top TV Game Show Winner in the World,” winning a record $2.35 million, and growing. Jennings graduated from Brigham Young University with a degree in computer science and English and has an International Baccalaureate diploma at Seoul Foreign School. At Brigham Young, he was a member of the Quizbowl Team, and currently writes questions and edits the literature and mythology categories for the National Academic Quiz Tournament organization. He received the opportunity to fulfill this lifelong dream during Jeopardy!’s 20th season, when the show lifted its five game limit for winners and allowed them to keep playing until they lost. Seizing the opportunity opened up to him, he won again and again and just kept on playing, relying on his curious mind, good memory and an astute buzzer technique. Adding to his quiz show celebrity, Jennings is known for his trademark quirks such as shaking his head in disbelief when his total cash winnings were announced at the start of a game. He wrote his name in a different way each day. He carried a plush toy as a good luck charm in his pocket, and he often attempted pronouncing foreign words, phrases or locations with an accent. In addition, Jeopardy! ratings skyrocketed during Jennings’s run on the show to become television's highest-rated syndicated program. An avid comic book and movie buff, he still lives in Salt Lake City with his wife and works as a software engineer for CHG Cox, a recruiting and staffing company for the health care industry. Later that day while at SHSU, Jennings will compete against two groups of students and faculty members in a “Can You Beat Ken Jennings” game-show challenge at 2 p.m. in the Lowman Student Center Theater. The President’s Speaker Series was created in January 2002 by James F. Gaertner, SHSU president, to introduce Sam Houston State University students, many of whom are first generation college students, to people who are living successful and principled lives. It is supported by a grant from long-time SHSU benefactor Lu Ellen Gibbs.